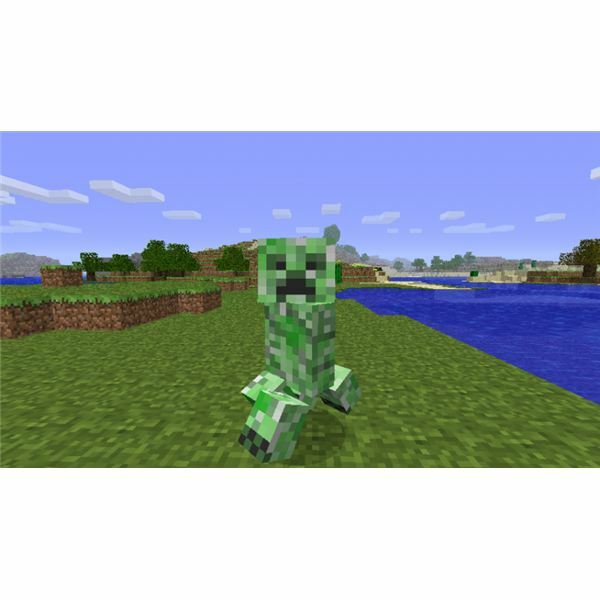 Creepers are perhaps the most feared creatures in the world of Minecraft. Chances are, if you’ve spent any time building in the game, you’ve had some part of one of your buildings utterly devastated by a Creeper explosion. They move silently, can survive sunlight, and once they’ve sighted a player, they will pursue him relentlessly until one or the other is dead. Let them get too close and they’ll explode, destroying all nearby blocks and potentially leaving a huge hole in the side of your carefully-constructed base. Unfortunately, completely avoiding these green kamikazes is pretty much impossible. You’re simply going to have to deal with them at some point. This guide will help you do so. Creepers are green, armless abominations that can be found both on the surface and in caverns. They are capable of spawning anywhere with a light level of seven or less (eight or more spaces from a torch) and will not spawn on glass or half blocks (like cobblestone slabs). They do their damage with a kamikaze attack, wherein they make a beeline for the player and explode violently when they get close. These explosions are completely devastating to sand and dirt and are capable of destroying a single layer of cobblestone or stone blocks. Obsidian is the only material that can withstand the blast. Once a creeper gets within one block of a player, they hiss and begin an internal explosion countdown. After about one and a half seconds the explosion will take place, so players must act quickly. Creepers will pursue relentlessly, even if a player enters a structure. Many a player who thought they’d escaped has opened their door only to find the Creeper they thought they’d escaped lying in wait. They are immune to sunlight and killing them is the only way to get them off your back. The best way to deal with Creepers is to simply avoid them when you can. Build windows into your base so you can check the surroundings before you head outside. Keep your head on a swivel while you’re out gathering resources so that a Creeper cannot sneak up on you. Place torches all around the perimeter of your base, and don’t forget to put them on the roof. Any space more than eight blocks from a torch is a potential Creeper spawn point, and adequate lighting can keep them from appearing near or inside your base. Make sure you frequently place torches when mining underground, as well. You don’t want them spawning in a dark corner and then chasing you through the narrow corridors of your mine. Once a Creeper has initiated its blast countdown, it will be reset if the player it’s targeting moves out of the blast radius (approximately three to four blocks). If the Creeper has been counting down for one second, it will take one second for it to completely reset, giving the player the full one and a half seconds before it will explode again. Players can use this to their advantage when fighting Creepers. If you see one coming, quickly switch to your sword and hit it, then back off. If you can get far enough back, the Creeper’s timer will reset, allowing you to get close enough to strike and back off again without it exploding. Repeat this process until it’s lying on the ground. You can also use a bow to keep it out of blast range while you fight. If you’re out gathering resources or building and you hear the Creeper’s telltale hiss, run! If you can get out of range quickly enough, you can still kill it without it exploding. The Creeper’s blast radius is reduced if it is at a lower elevation than the player. If you’re running from one, head uphill if you can. Creepers tend to head straight toward a player once they’ve sighted him. You can use this to your advantage. If you can lure one into a pit that is at least three blocks deep, you can safely attack it from above until it’s dead. You can also use lava pits or towers to defeat Creepers near your base. Once one has spotted you, run around the lava and put the pit or tower between you and it. It will run straight through the lava, setting itself on fire and allowing you to stay far enough away that it won’t explode. If you are sighted by a Creeper and are near water, use it to your advantage. 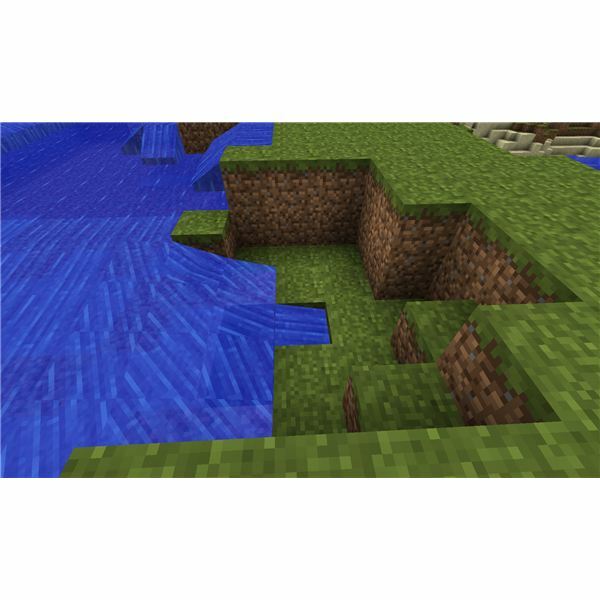 Creepers will follow you into shallow water, but the water will prevent their blast from destroying nearby blocks. You will still take damage, but the landscape won’t be changed by the explosion. Here at Bright Hub, we have a great guide to building a house that can withstand a Creeper attack. Using simple strategies like building out of sturdy materials and placing a ton of torches, you can reduce the likelihood that a creeper will be able to ruin the structure you spent so many hours working on. 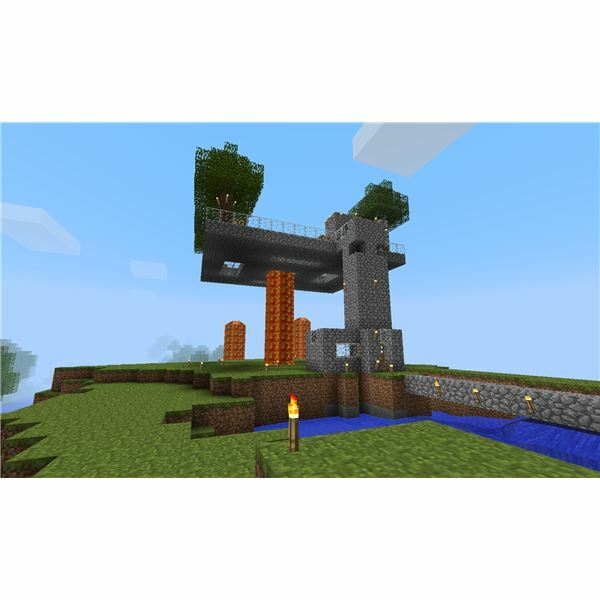 For more, check out our Guide to Building a Creeper-Proof House in Minecraft.